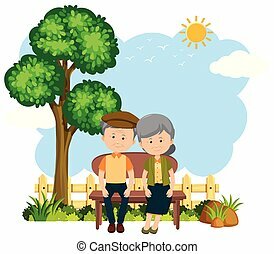 Elderly couple on a bench. 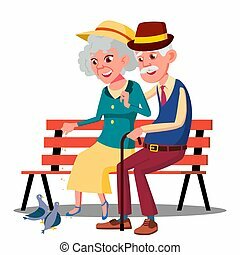 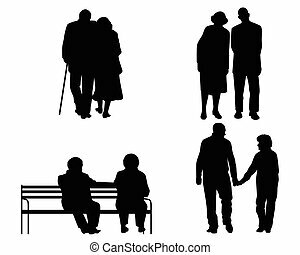 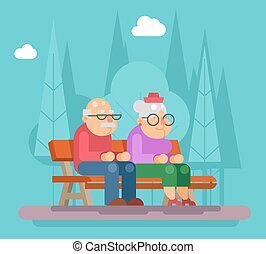 Vector illustration of elderly couple on a bench. 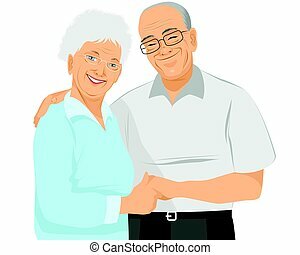 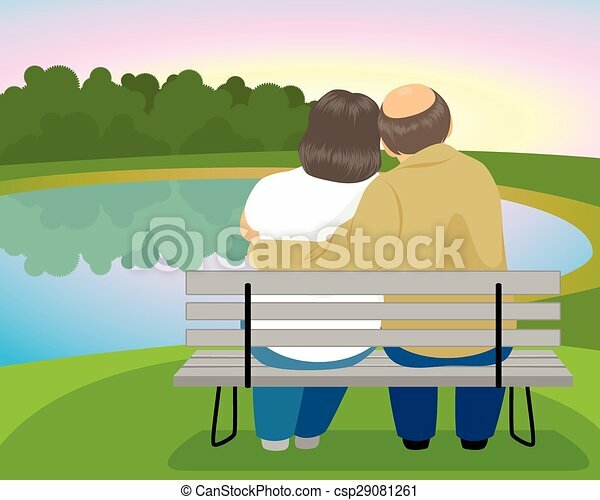 A vector illustration of an elderly man and woman sitting together on a bench, the man has his arm around the woman, each is holding a cup of coffee. 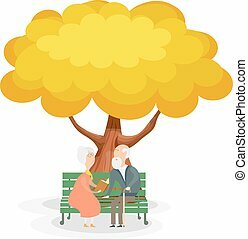 In the background is a tree with heart shaped leaves falling. 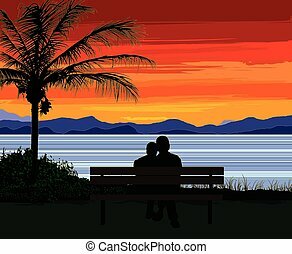 Silhouette of a romantic senior couple sitting on a bench by a palm tree, looking at the ocean and a beautiful colorful sunset. 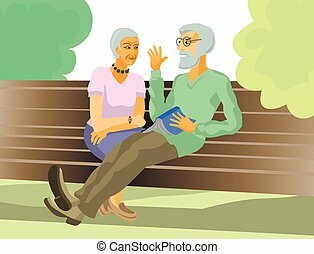 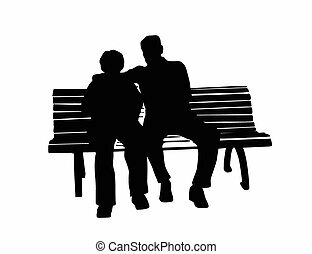 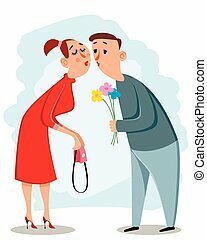 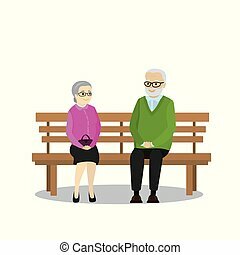 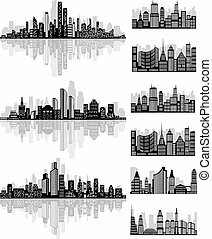 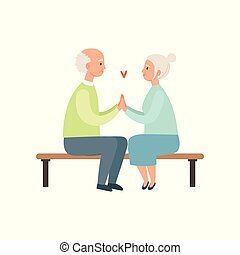 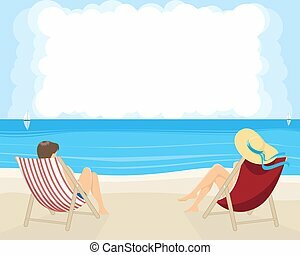 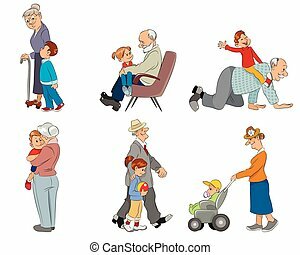 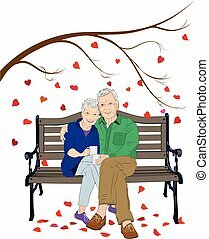 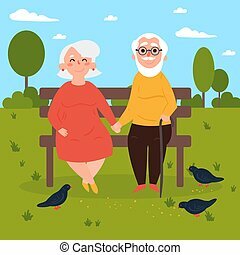 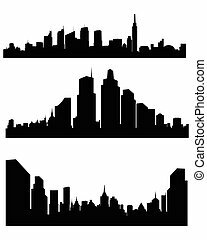 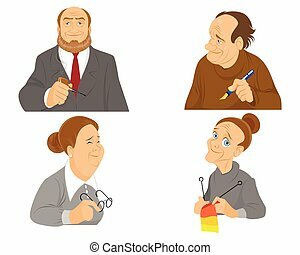 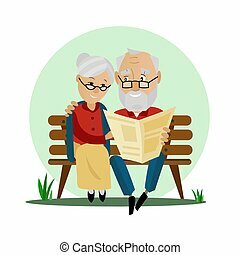 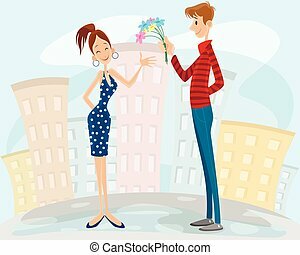 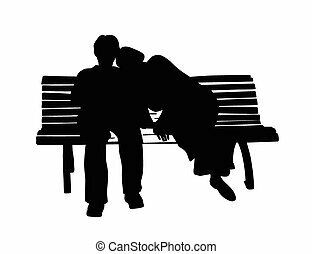 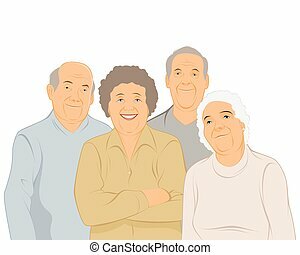 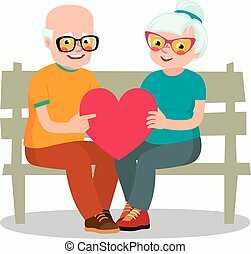 Senior man and woman sitting on a park bench, elderly romantic couple in love vector Illustration isolated on a white background.